Every cell in your body needs potassium to function. When your body experiences low potassium levels, the condition is called hypokalemia. When hypokalemia occurs, one experiences weakness as every cell in your body is effected—muscles cease to function properly and your blood pressure loses control. Potassium is a valuable mineral that falls under the electrolyte category. As the name alludes, electrolytes contain an electric charge that help manage the electrical status quo within the body. Popular sports drinks advertise replenishing electrolytes in your body—this is because electrolytes help boost muscular function and hydration. Without potassium, your body can experience a serious breakdown. Potassium is essential to breaking down and using proteins and carbohydrates. Without potassium, your body wouldn’t be able to build and protect your muscles. 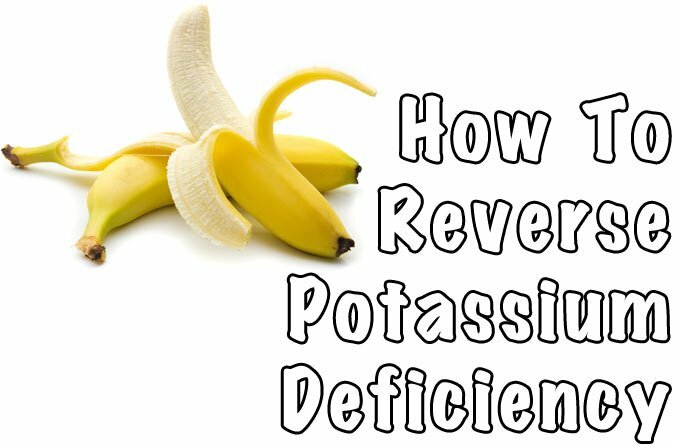 There are many factors and reasons why one may experience a potassium deficiency. People that eat a sensible and healthy diet often get enough potassium in their diet, however, there may be some issues blocking the proper absorption of potassium. For instance, people not getting enough magnesium are unable to properly absorb potassium. Magnesium is important to an important factor in cellular health, and when you are magnesium deficient, the part of the cell that absorbs potassium does not function. Your body experiences a temporary loss of potassium when it vomits or has diarrhea. 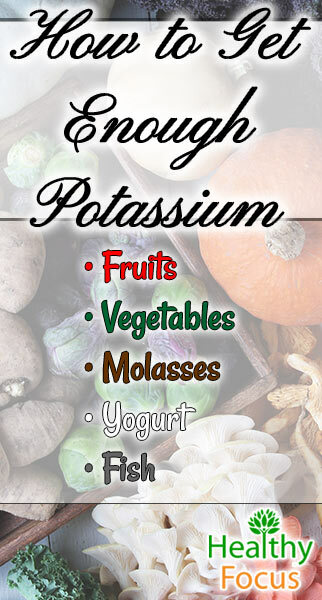 Once your illness has subsided, your body is able to restore its stock of potassium. However, if you are experiencing chronic or prolonged illness, your body may have trouble maintaining its potassium reserves. Making sure you are consuming potassium-rich foods can help curb this problem. The efficacy and health of your kidneys are essential because they help balance the electrolyte content in your body, which therefore helps maintain the balance of your potassium levels. Kidney disorders or issues surrounding the functioning of your kidneys can result in low levels of potassium. READ What is Ghee? 9 Benefits Exposed! The prolonged and consistent use of laxatives can effect the levels of electrolytes in your body and result in low potassium levels. When your body consistently loses fluids, your potassium levels can be put in danger. • Diuretics: Diuretics encourage the consistent removal of excess fluids from your body. This may benefit your waistline, but it puts your electrolyte and potassium levels in jeopardy. Excessive sweating can wreak havoc on the electrolyte balance in your body. Persistent sweating without replacing the fluids in your body can result in electrolyte loss and serious consequences for your potassium levels. It may be difficult to determine the diagnosis of a potassium deficiency because the symptoms are fairly low key and are often confused for something else. Potassium deficiency may include symptoms that affect the muscles, nerves, kidneys, heart, and the gastrointestinal tract. Potassium is important to your muscles on a cellular level in that they are required for your muscles to have the ability to contract and move. When your potassium levels are low, your muscles have trouble with these functions and become easily fatigued. Other muscular symptoms you may experience during times of potassium deficiency are twitching, spasms, and prolonged states of contraction. As you are probably beginning to realize, potassium is extremely important to the health of your muscles. Not getting enough potassium not only affects the cellular health of your muscles, but experiencing a potassium deficiency can actually damage your muscles as well. When this type of damage happens, its called rhabdomyolysis, which is the result of muscle cells breaking down and their contents oozing out. Symptoms of rhabdomyolysis include muscle tenderness, fatigue, stiffness, and aches. When your potassium levels are low, the muscles in your intestines and stomach may involuntarily contract. This may cause abdominal cramping, bloating, and pain. In some cases, constipation may even occur. In extreme cases, your intestinal activity may come to a halt, resulting in the condition paralytic ileus. A drop in electrolytes will occur when large amounts of water are filtered out through the kidneys. This will result in frequent urination and persistent thirst. Falling potassium levels may cause your nerves to misfire. This abnormal activity in your nerves can lead to a numbness, or burning and tingling in the hands and feet. A body suffering from low levels of potassium may experience heart palpitations. Your heart is controlled by the electrical charges controlling your cardiovascular muscles. When hypokalemia comes into play, this electrical and muscular system is affected. This may cause your heart to skip a beat or experience too many beats, resulting in abnormalities in heart rhythm. Abnormalities in heart rhythm can have serious consequences such as cardiac arrest. Low potassium levels can lead to low blood pressure. When one experiences low blood pressure, they may become dizzy or even faint. These symptoms may especially be prevalent when you try to stand up. Severe cases of hypokalemia may result in the loss of muscle functioning altogether. Your muscles may fall limp and just stop working. This is particularly dangerous when it affects the cardiovascular muscles, which may cause slow, shallow breathing or a cessation of breathing altogether. Avoiding a potassium deficiency can be easily maintained via your diet. All of the foods listed below are rich in potassium and can help avoid the unpleasant and potentially dangerous symptoms of falling electrolyte and potassium levels. Bananas, oranges, apricots, avocados, tomatoes, peaches, cantaloupes, mangoes, kiwis, and dates are excellent sources of potassium. Some experts believe that eating a banana may immediately treat muscle cramps. Lots of veggies contain high levels of potassium, such as sweet potatoes, beet greens, kidney beans, lima beans, soy beans, winter squash, lentils, split peas, red peppers, and carrots. Replace honey and sugar with molasses to get your daily dose of potassium. One tablespoon of this sweet delight will grant you almost 500 mgs of potassium. Molasses also contains good amounts of calcium and iron to help keep your minerals leveled out. Milk: Did you know that milk is an excellent source of potassium? One cup of skim milk contains a whopping 382 mgs. Adding milk to your smoothies can add an extra boost of potassium. READ Does Grapefruit Juice Burn Fat? Eight ounces of plain, organic, low-fat yogurt will give you a major potassium boost. Add some granola or an extra healthy boost. Those who prefer a marine-themed adventure when it comes to their diet will find lots of fish rich in potassium. A can of sardines alone contains 365 mgs of potassium in just one can. Salmon, halibut, tuna, and cod are other examples of potassium-rich fish. Three ounces of clams have a high concentration of potassium as well.